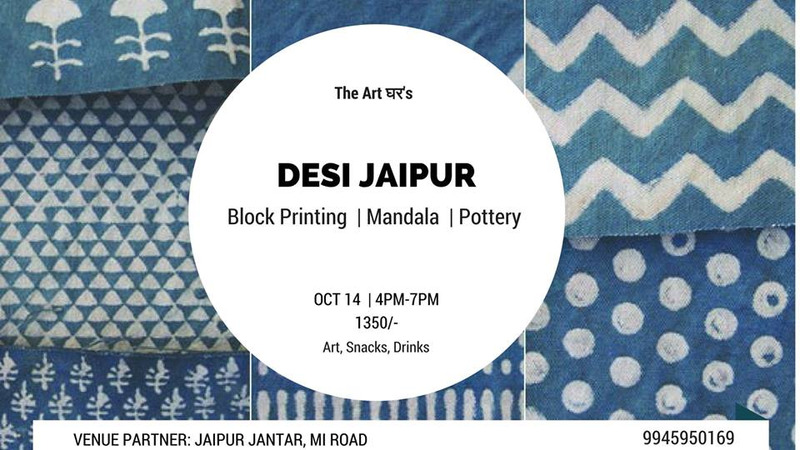 The Art घर brings to you an opportunity to get closer to Jaipur art and try famous traditional art forms. In this event, you will get to experience 3 art forms. 1. Block printing is a very old form of art in Jaipur. It has been there for ages. All of us use block printed clothes, quilts, table cloths etc. Ever wondered how they are made? 2. Mandala is sanskrit for circle. It gives you the much required balance in life. Come make your mandala and paint it. 3. Pottery is the unique art full of creativity. It is the best way to de stress yourself. Make pots, glasses, plates, bowls ANYTHING! We give you an experience to try all these forms of art at the same place ! Have a fun evening with your friends!